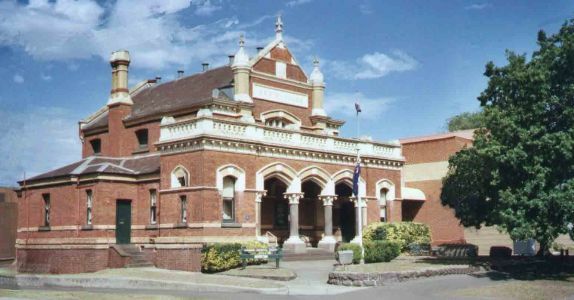 The Essendon Historical Society is on a mission to restore the old Moonee Ponds courthouse. With help from Moonee Valley Council, the restoration is on track. Last Thursday, the council’s heritage advisor, Bernadette De Corte, got a bird’s eye view of the courthouse from the basket of a cherry picker as she investigated the required works and took photos of the building. Moonee Valley mayor Jim Cusack said initial assessments showed the building needed much attention, including restoring the beautifully detailed cast-iron downpipes and gutters. “The cherry picker is essential so an inspection of the roof can be done and to take detailed photos of any other hidden damage,” he said. The building is more than 120 years old and and operated as a courthouse until the mid 1970s. It now houses important historical collections and records.